LG V30 won’t have a secondary display, to be replaced with something even better? You couldn’t have missed it – with the V10 LG introduced a secondary display above the main 5.7-inch one (actually the two are one whole display with separate controllers), to be used for shortcuts, displaying the time and what not. The V20 has one too and even if we may have had the occasional accidental interaction with it, we generally enjoyed the extra functionality. Well, that won’t be the case on the future V30, it seems. 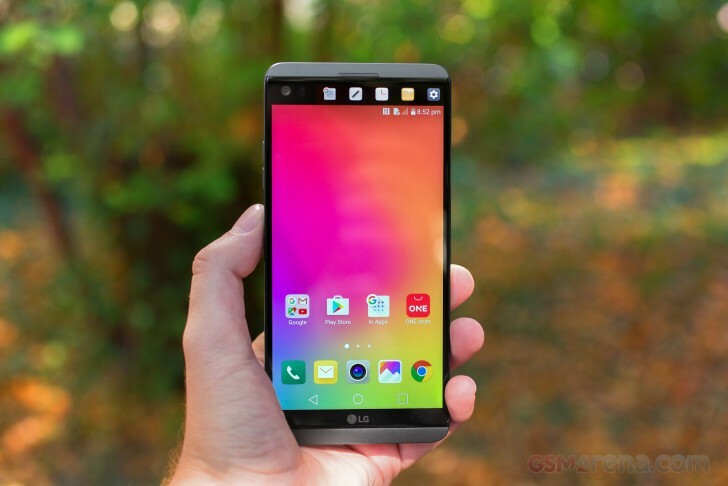 LG is apparently abandoning the ticker if this latest post by Evan Blass turns out to be true (which they are, more often than not). Bidding ‘adieu’ to the ticker, the leakster reveals he’s in possession of actual renders of the LG V30 and sifting through the replies it seems the Korean company has replaced it with something new and more intriguing. LG is no stranger to quirky experiments in the smartphone field and some of them stick, others don’t. The wide-angle camera as part of a dual camera setup was ushered in cautiously by the same V10 for selfies, and the concept was later promoted to the main camera of the G5 and V20, so we can count that successful. Not so much with the ‘Friends’ modular accessories for the G5, an idea already scrapped for the G6. The V20 was only announced in early September and if we assume the usual 12-month life cycle, the V30 is a good 9 to 10 months away. Still, we don’t mind looking at some ‘early renders’. Whenever you’re ready, Evan.